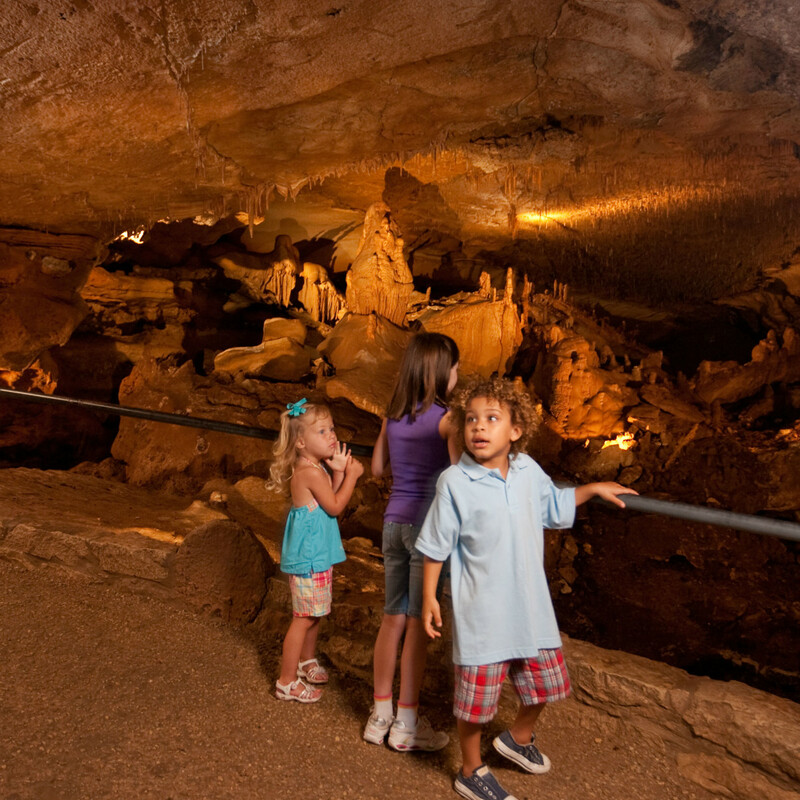 If the walls could talk at Longhorn Cavern, boy would they have some great stories to tell. Comanche Indians once used the cavern, a detail that's been honored in the naming of one of the rooms the Indian Council Room. During the Civil War, Confederates manufactured gunpowder inside with the help of the plentiful supply bat guano (aka bat poop). In the 1920s Prohibition Era, it became a speakeasy and dance hall, and in the 1930s, the Civilian Conservation Corps got to work clearing passages. And while there's no evidence to prove it, legend has it that Old West outlaw Sam Bass hid his stolen millions somewhere inside. 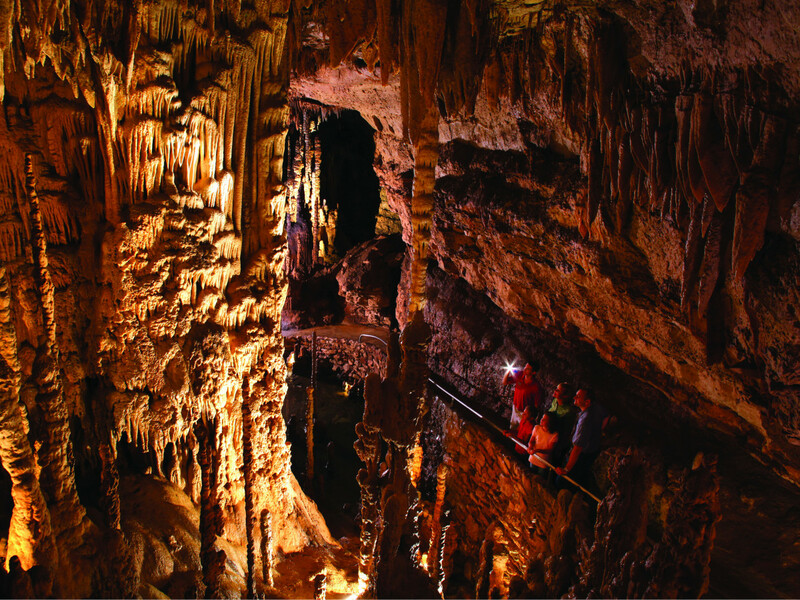 You can learn all about these stories and more — and of course, see the cavern's truly unique formations — by hopping onto their guided walking tour, which is offered 364 days out of the year. Those looking for something off-the-beaten path can get down and dirty on the Wild Cave Tour, crawling through the cave's undeveloped lower level. If you're an avid photographer, you might go for their Photography Tour that lets you shoot the cave's most scenic spots at your leisure. Located around 30 minutes north of Austin just off the highway in Georgetown is Inner Space Cavern. The fact that it's literally right off the highway makes complete sense seeing as it was discovered when the Texas Highway Department was constructing I-35. 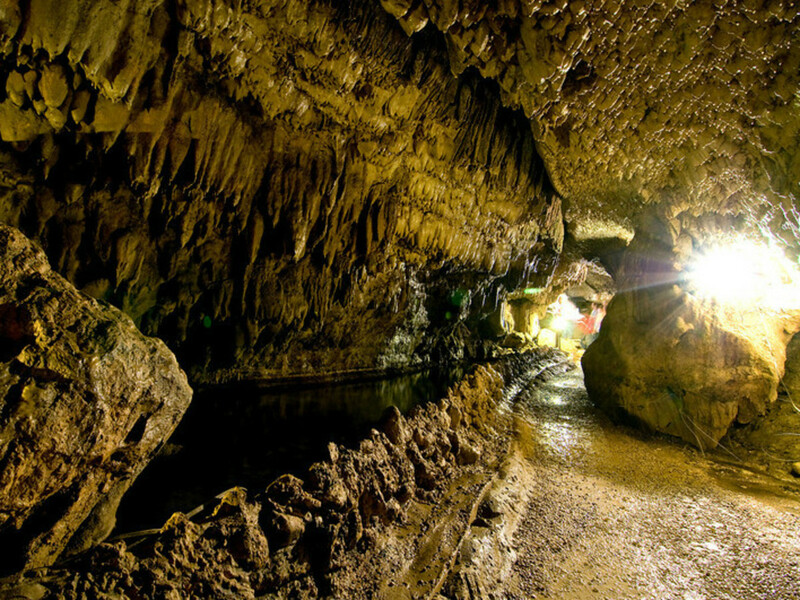 Spelunkers started exploring the cavern in 1963, and it officially opened to the public in 1966. Activity in the cave dates back much further than the '60s though. During the Ice Age, plenty of prehistoric animals met their demise after getting trapped in the cavern. They've found fossils of at least 44 different species within the cave, 11 of which are now extinct, including the saber-toothed cat and ground sloth. Inner Space Cavern offers visitors their choice from three different tours. The Adventure Tour is the standard route following the lit pathway. The Hidden Passages Tour gets a bit more rugged and has you going on an undeveloped trail with a flashlight. The Wild Cave Tour is perfect for thrill-seekers who want to go completely off trail, navigating the cave's undeveloped sections. 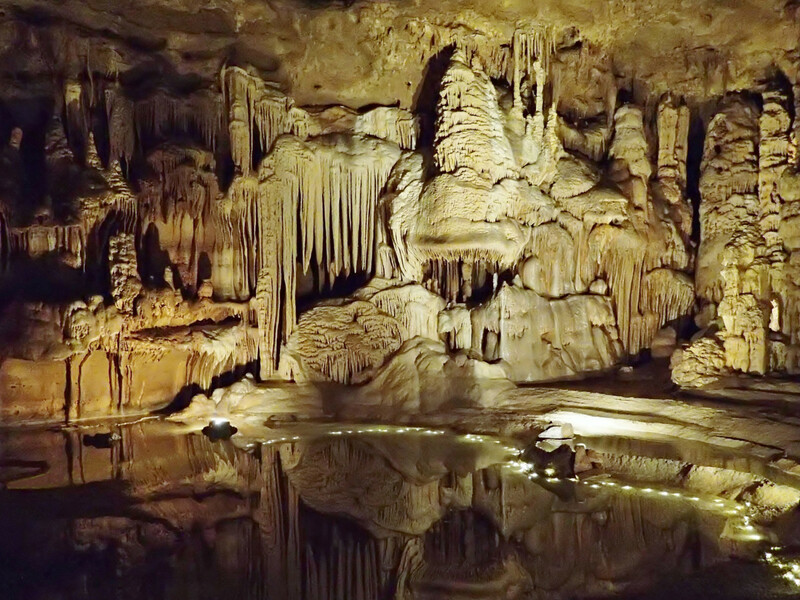 Discovered back in 1960 by a group of spelunking St. Mary's University students, Natural Bridge Caverns are probably the most well-known and most-visited caverns in the area — and they're definitely the largest. 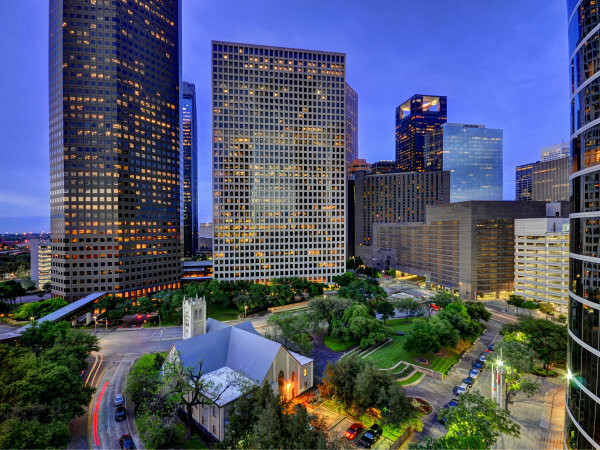 The name comes from the 60-foot slab of limestone that was left after a sinkhole collapsed and now stretches above the entrance. 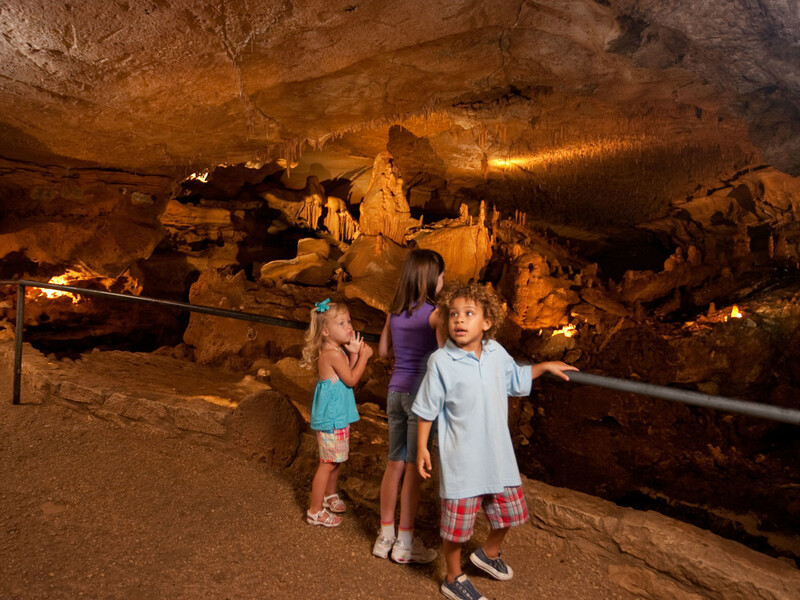 There are a few different ways to explore Natural Bridge Caverns. 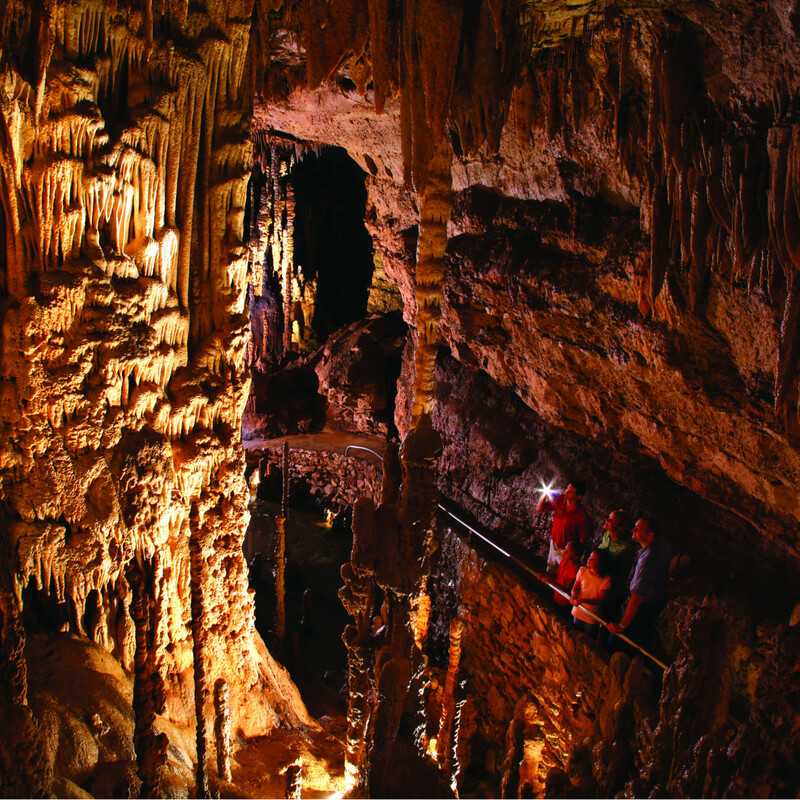 Whether you choose the Discovery Tour, Hidden Passages Tour, or Lantern Tour, you're sure to be wowed by the awe-inspiring formations in these extensive caverns. Before or after your tour, check out the additional activities onsite that make this attraction feel like a mini theme park. You can tackle new heights on the canopy obstacle course, soar through the air on the zip lines, navigate the maze, or go gem and fossil mining. When you need a little break, pop into Big Daddy's Sweets, Treats, and Brew for some refreshments or grab a meal in Cavern Café inside the Visitor Center. 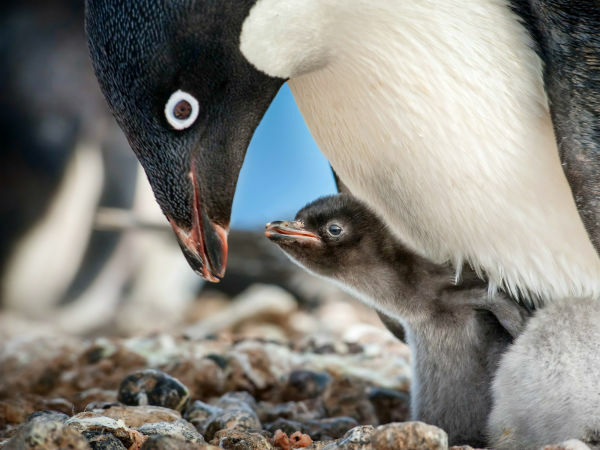 It isn't hard to have a fun-filled family outing at this spot. It's true — this cave actually is called Cave Without a Name, and a name like that deserves some explaining. 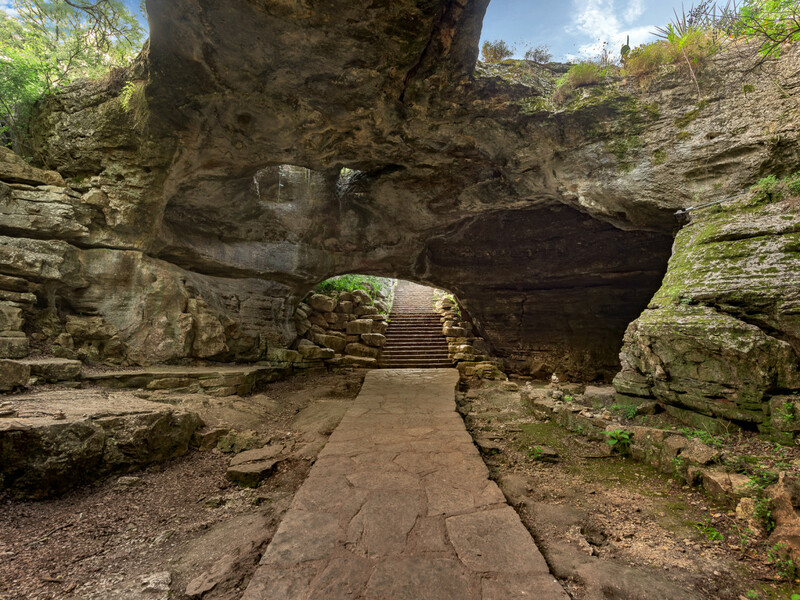 After the property owner decided to open it to the public in 1939, there was a statewide contest to name it, prompting a young boy to say that the cave was too beautiful to have a name. He earned the prize and despite short-lived efforts to change it, this is the name that stuck. Before all of that, people discovered the cave when they went after a goat that fell in through an opening, and eventually, others used it as a moonshine distillery during Prohibition. 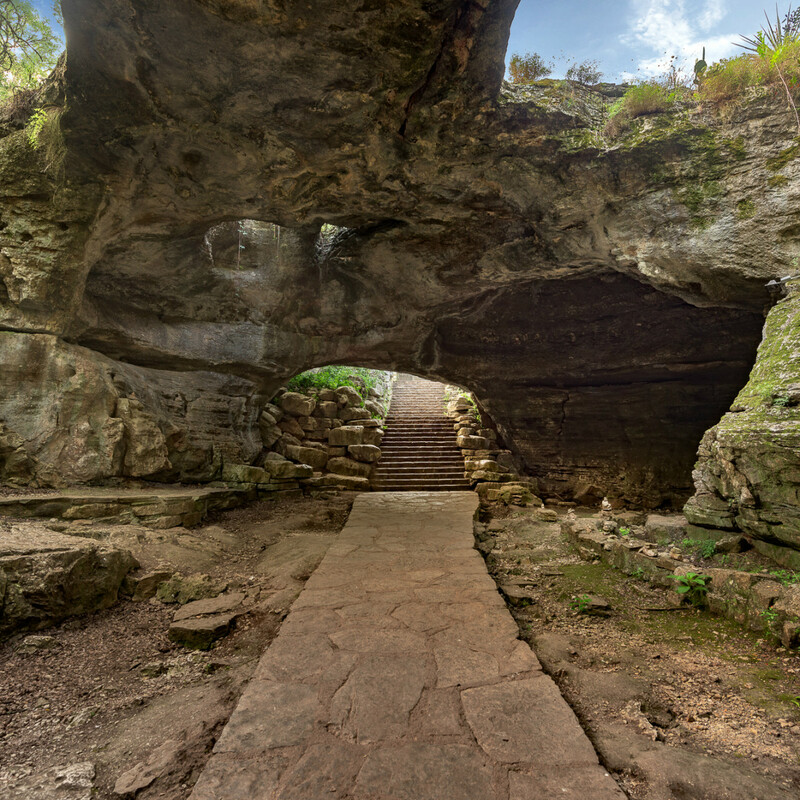 But it wasn't until three intrepid, local kids found the sinkhole in 1935 and explored the cave's inner chambers that people really began to take an interest. A tour takes about an hour and includes going through six stunning formation rooms. A notable draw of Cave Without a Name is how it hosts musical events throughout the year in its Cave Throne Room, which offers fantastic natural acoustics and makes for an unforgettable experience. 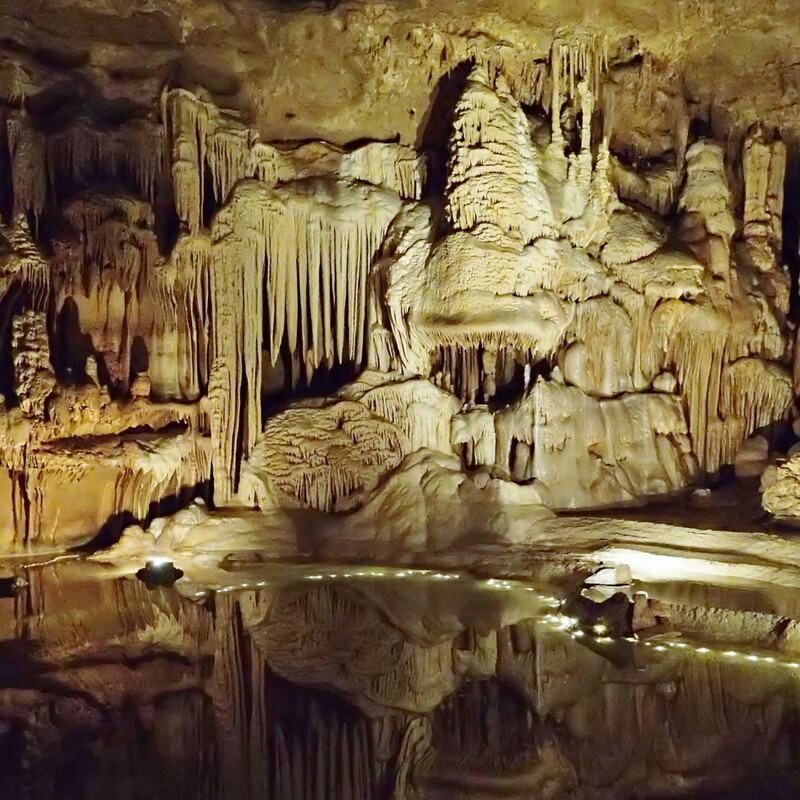 Cascade Caverns has been in operation since 1932, except for when it temporarily closed during World War II. Back in those early days, the main entrance was the Peep in the Deep, where visitors had to hop in a bucket and be lowered down with a crude rope-and-pulley system. Thankfully, today's visitors get the convenience of a much safer stair route. Cascade Caverns is called such because of the large waterfall in the Cathedral Room, the grand finale of the tour. While Texas drought may prevent it from flowing when you visit, they do pump it artificially to give you an idea of what it's like. 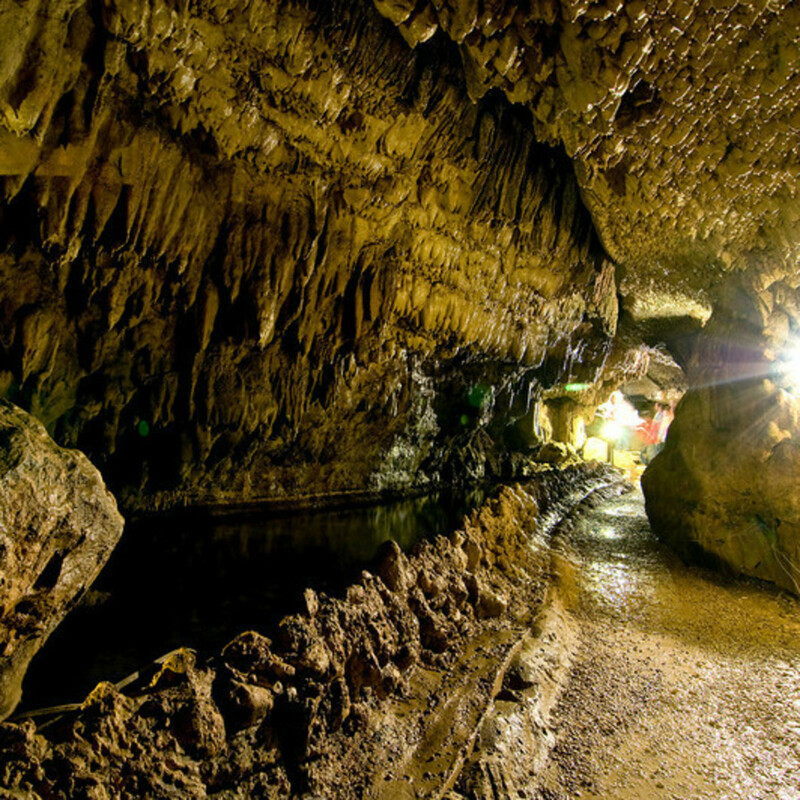 Daily cavern tours are offered year-round, and there are special flashlight tours and adventure tours available periodically. When it comes to wildlife, they've found the fossils of bison, mastodon, and saber-tooth tiger inside the cave over the years. Lucky visitors these days will get to spot the famous Cascade Caverns Salamander, a rare, translucent species found only here. Ready to end on a completely random fun fact? Patrick Swayze filmed some of his scenes for the movie Father Hood here.